As many of you know, I try to guide an internal and meditative practice when teaching yoga classes. Paradoxically, I can talk your yogic ear off with detailed alignment instructions. I talk about safety, mobility and longevity a lot. And I use the words “engage,” “fine-tune,” “become aware” and “alignment principles” a lot. Take our January/February Bi-Monthly Focus for example – who needs four separate directions for opening the HEART? I tend to shut down in my heart center. My shoulders round forward, my ribs cave inward, my lungs shrink upward and my poor little heart hides behind it all. And not just in the winter. Due to multiple neck and shoulder injuries from car accidents, falls and other traumas over the decades, this area of my body can be a little vulnerable. Yet without fail, practicing yoga’s alignment principles helps my heart find its way back to a balanced center. This is one reason I spend so much time instructing alignment in our yoga classes! In addition, for me, there is a connection between physically caving in and emotionally shutting down. It’s as if the physical distortion causes a psychological darkness – or vice versa. (Check out the February issue of Natural Health’s article on Anusara Yoga’s approach to the heart and well-being). So tending to an open heart center is key for this gal. My favorite teacher for heart-area alignment is Megan Davis, who passed on her knowledge of engaging the intercostal muscles to control the movement of my rib cage and shoulder blades. She recommended moving the intercostals backward, around the sides of the ribs, then down to “relax the shoulders” by releasing the shoulder blades toward each other and down the back. That was a true “Ah-ha” moment. For years, I’d been “relaxing my shoulders” by forcing my shoulder joints down and back. Utilizing Megan’s tips, I erased a long-term neck ache and was finally able to expand my heart wide! My second “Ah-ha” moment for the heart center was with Dr. Steven Weiss – chiropractor, yoga teacher and founder of Align by Design experiential Anatomy and Physiology workshop. The tip he shared was to broaden the collar-bone by curling open the upper arms. Lining up my middle finger with seam of my pants, he moved my biceps out and back and my triceps under and in. What an amazing lift and expansion in my chest! Thanks to these fine-tuned adjustments, my Pranayama practice is stronger (and my asthma symptoms weaker), my neck is free (and therefore free of pain), my shoulder joints move easefully (helping to rehab a rotator cuff injury) and my heart center is open (lifting my spirit, as well). Aside from heart-center issues, I was also plagued by hip and knee injuries. I used to lock my knees when standing still or twist them when walking on uneven surfaces (snow, rocks, etc). The inside and back of my knee would swell and ache horribly. Frequently after yoga class, I would experience that same swelling and ache. Finally, I took a private session with Andrea Franchini – a dancer as well as a yoga teacher – who completely transformed my knee and hip health. In poses like Tadaasana and Tree, she noticed that I tended to hyper-extend my knee, causing a “blow out” in the tissue behind the cap. In poses like Goddess or Warrior, she noticed that I would twist from my ankle and knee to open the hip, rather than – duh – opening the hip! Thus my positive habits of engaging the quadriceps to safely straighten the leg and utilizing the hip’s ball-socket joint correctly were born. Knock on wood – I have not blown out my knee since that session with Andrea. One of my favorite Asana instructions is “Zip up the belly.” Dancer and yoga teacher Leah Kalinosky describes a “zipping up” from the pubic bone to the belly button. Add to that Dr. Weiss’s instruction to also zip down and in from the sternum to the belly button. Distinct from sucking in the belly, this subtle lifting and tucking beneath the ribs liberates my hips to float freely over my legs. So many teachers, so little time. I could write a book about the many “Ah-ha” moments I’ve experienced in yoga classes thanks to generations of wisdom passed down. Yoga’s eight limbs are designed to progressively prepare the self for Samadhi, or enlightenment. 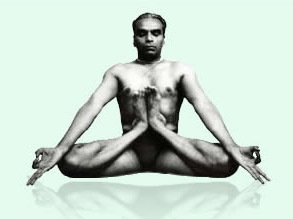 The limbs are in order for a reason – without becoming aware of ethical conduct through the Yama and Niyama in limbs one and two, without removing physical distraction through Asana in the 3rd limb, and so on, we cannot reach the level of concentration and meditation necessary to reach the bliss of the 8th limb, Samadhi. And so, by engaging proper alignment during Asana, I silence the body. Once the physical noise is quieted, I can move on to deepening practices of Pranayama, Pratyahara, and so on. During his Align by Design workshop, Dr. Weiss pointed out two concepts from the Yoga Sutras of Patanjali that promote proper alignment during Asana practice. He opened the workshop by writing “Heyam Dukham Anagatam” on the board. “The pains yet to come can be and are to be prevented.” Through proper alignment, we prevent injury and enhance well-being. He also pointed out that, since the Yama and Niyama intentionally precede Asana, and non-violence is part of that ethical code, it would be unethical for a yogi to stress themselves into a pose. Proper alignment erases such strain and honors Ahimsa. A last word about my role, as instructor, in adjusting and fine-tuning Asana. When I teach, I am not trying to prove that I know more than a student. I believe each person contains the wisdom of Asana in his/her body. Therefore my role is to remind students of what they already know (thanks to Seane Corn for reminding me of that during a recent workshop!). Verbal cues and physical adjustments are not corrections – rather, they are guidance for students to tap into what’s within their bodies. Honestly, my compulsion to “fine-tune” Asana comes from a yearning to share with others what has healed my body during my 16 years of yoga practice. Not to mention my deep longing to end suffering and prevent the pains yet to come! Please! To make up for my alignment gab, I promise to end every class with a luxurious period of silence during Yoga Nidra! May you find the wisdom of alignment, live free of suffering and cultivate the silence within. OMmmmmmmmm. It IS difficult to please everyone, eh?! What is “appropriate” (or non-) music during yoga classes? As a yoga student, I’ve been through phases of liking/disliking lyric-based or non-devotional music during class. 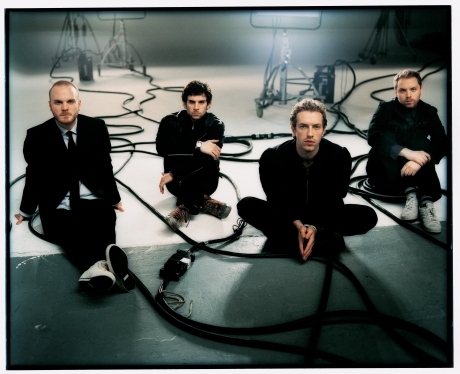 Pop music, like Coldplay, for example. Sometimes I felt “put-upon” by the teachers’ tastes or moods. Many, many years ago, I even wrote a similar complaint to the owner of DC’s premiere yoga studio stating this opinion! I’m quite certain these complaints pop up in studios around the world. These days, I simply understand and accept music as part of the teacher’s unique voice and spirit. As a teacher, during the Integral Yoga classes taught at Past Tense Studio, I typically do not use music during Asana – just a meditative sound CD if anything, then something meditative or devotional for Nidra. The studio is on the first floor of a city intersection, so I like to dull the street sounds with yoga sounds at times. IY teachers are trained to not use music, so I try to follow suit out of respect for Satchidananda’s teachings. …lately I am choosing lyric-based Yoga Nidra songs to match our “comfort” theme for December (see set list in the “Comfort…” post). I admit that I could be forcing my idea of “comfort” onto the class! But I’m letting them know ahead of time that we’re trying it out for this month only. On the other hand, for this month’s special Sunday Seva Nidras (see “Events” page), I’m using relaxing devotional Sanskrit chants only. When I choose music for sub-ing non-IY classes, I use set-lists of rhythms and lyrics that support the feel of the class style. For example, swinging and groove-y for Vinyasa’s dance; or driving and energizing for Hatha’s longer holds. Indeed, a mix of genres – singer/songwriter, folk, Brazilian, Latin pop, R&B, Sanskrit devotional, American gospel, and so on – but all themed to a spiritual and encouraging nature. (In my opinion, of course!) Even on most current yoga-mix CDs (i.e. Shiva Rea’s collections), there is a mix of genres – from reggae to new age to chant – that are mostly devotional songs. of-factly instructed a crowded list of detailed anatomical directions with little space to breathe (I’m out of breath just typing that sentence) – but with a soundtrack of beautifully moving Sanskrit chants of many styles. Eventually, the odd juxtaposition faded and I melted into his amazing yogic knowledge and authentic yogic sounds. And not so long ago, I attended an Anusara-inspired class where the teacher played Cuban “Timba” (like Puerto Rican Salsa, but better) – with lyrics that might be inappropriate for a yoga atmosphere. But the energy of the music drove the class, who probably didn’t know Spanish! I loved it, honestly. Then there was the time I was outside the door of a Jivamukti class and heard the teacher blasting “Whole Lotta Love” by Led Zeppelin. I figured it was a heart chakra focus! All that to say – lord only knows what people think of our music at any time! I know one student who cringes when he hears Krishna Das – a well-respected yogi and Kirtan musician! To this friend, it’s over-used and really distracts his peaceful practice. There is probably world-wide debate on the subject of “yoga music.” Frankly, as a yoga teacher AND musician, I can have a very liberal opinion of what’s “appropriate” music for a yoga class. But mostly, I try not to analyze it too much – instead, I trust the teacher’s intention to pass on teachings and share vibrations. I hope others can allow that freedom, as well. If not, there are millions of classes and teachers to choose from!